Inmarsat is the pioneer of global mobile satellite communications. Today Inmarsat stands at the forefront of 3G wireless telephony, capitalizing on almost a quarter of a century’s experience to deliver broadband communications solutions to enterprise, maritime and aeronautical users around the globe. 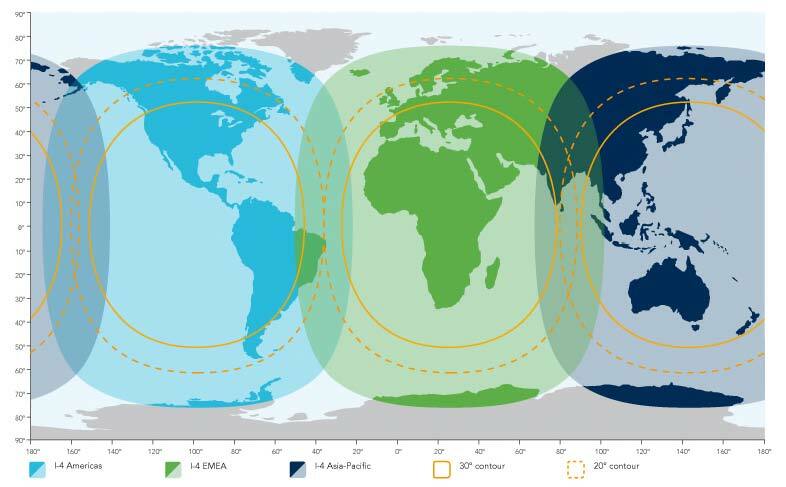 Inmarsat operates a constellation of geostationary satellites that extend mobile phone, fax and data communi-cations to every part of the world,except the poles. End-users can dial into the international telephone network and send data over the Internet at any time, simply by connecting to an Inmarsat satellite. They include ship-owners, TV broadcasters, international aid workers, national governments, commercial airlines, etc.